Healthy trees and plants are a direct result of healthy soil. Proper fertilization and watering will promote healthy growth and allow the tree to recover from normal stresses. First Choice Tree Care is committed to producing healthy trees and plants all year long. 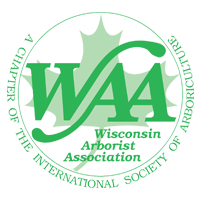 Proper nutrition is essential for producing healthy trees to better tolerate the long and cold Wisconsin winters. Our fertilizer program employs slow release, low salt index liquid fertilizer containing humates. As nutrients are available only during the warm growing months of the year, the treatment extends the time during which the nutrients are available. Low salt index means no burning of your lawn when fertilizer is injected into turf areas. Don’t wait, call us today for a tree care evaluation or consultation, to keep your trees alive and feeling great! Click here to contact us now!